I recently received two reports from the U.S. Census Bureau that reveal changes in the shape of the American family, some of them quite striking. I have added brief summaries in bold at the beginning of each section. The details are from the Census Bureau report. The percentage of children living with one parent who live with just their father saw an increase from 12.5 percent in 2007 to 16.1 percent in 2017. That’s according to new statistics from the U.S. Census Bureau’s 2017 America’s Families and Living Arrangements table package. A second related report, called “Parents Burning the Midnight Oil” appeared in my inbox November 21. The report was written by Brian Knop of the Fertility and Family Statistics division of the Census Bureau. The detailed tables and charts in Brian’s blog have not been included here. As he states, the blog does not address the circumstances that lead to parents working nonstandard schedules, but does show the magnitude of the situation. (Emphasis in text added). Of the 72.3 million children in the United States living with at least one of their parents, 43 percent (31.0 million) live with a parent who is working a nonstandard schedule. Any schedule that does not reflect the traditional Monday through Friday daytime schedule is considered nonstandard. Parents with more than one job are considered nonstandard workers if any of the jobs have nonstandard schedules, such as evenings/nights, irregular or weekend hours. However, in today’s 24/7 economy, many jobs exist outside the traditional daytime, Monday-Friday work schedule. It is common for a child to live with a parent who works at least some shifts in the late (or early) parts of the day or during the weekend. For example, there are 5.5 million children living with their mother only who works a nonstandard schedule. This accounts for 30 percent of all children living with their mother only. Both mothers and fathers, and parents with or without another parent in the home engage in nonstandard work schedules – see the Survey of Income and Program Participation (SIPP). This survey is the premier source of information for income and program participation. SIPP collects data and measures change for many topics including, economic well-being, family dynamics, education, assets, health insurance, childcare and food security. This survey includes detailed questions about family living arrangements and employment. Of the 3.3 million children living with only their father, 37 percent have a dad who works a nonstandard schedule. The percentage with a father who works a nonstandard schedule increases to 49 percent when we consider only those children whose father is employed. This is similar to the corresponding percentage for children living only with an employed mother who is working a nonstandard schedule (47 percent). Among the 48.4 million children living with two parents, 50 percent have at least one parent working a nonstandard schedule. When restricted to children living with two working parents, 61 percent have at least one parent who works a nonstandard schedule. A higher share of children in two-parent families have a father with a nonstandard schedule (38 percent) than a mother with a nonstandard schedule (22 percent). If we look within this group of children and focus on those with two working parents in the home, 37 percent have a mother working a nonstandard schedule and 43 percent have a father working a nonstandard schedule. Of course, these may overlap so that some children live with parents who both work nonstandard schedules. What percentage of children living with two employed parents have only mom or only dad working a nonstandard schedule? While 18 percent of children living with two working parents have both parents working nonstandard schedules, it is more common that only the father works a nonstandard schedule — 24 percent. About 18 percent of children living with two working parents have only a mother who works a nonstandard schedule. It is important to note that this blog does not address the circumstances that lead parents to work nonstandard schedules. However, SIPP data do allow us to see that many children live with a parent who works a nonstandard schedule. To learn more about SIPP and the statistical guidelines used in producing this blog, visit the SIPP page, the SIPP 2014 source and accuracy document and the nonresponse bias report. The estimates presented in this blog are subject to sampling and nonsampling error. For more information, visit the SIPP sampling page. The definition and shape of family in America is not static. 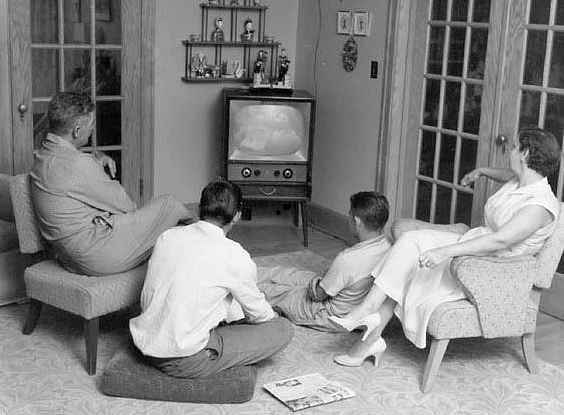 There have been dramatic changes, especially in the decades since the stereotypical families of suburban America flickered on the television screens of the 1950s, a new medium that itself would have profound effects on the family. This blog was also posted as an article on SeniorLifestyle.org.